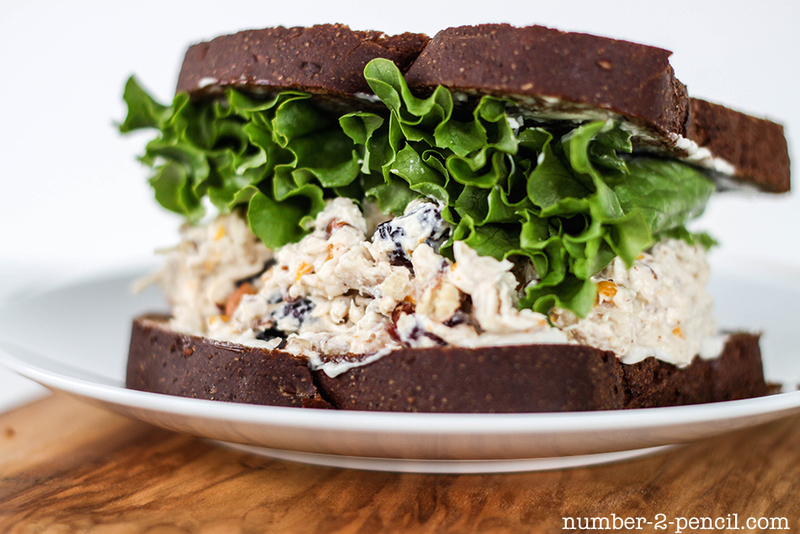 This Gourmet Chicken Salad Sandwich is simple and delicious. Toasted pecans, tart dried cranberries, and juicy bits of mandarin orange pair perfectly with tender chicken breast and creamy mayo. This is the second sandwich in my grown-up brown bag series which you can read more about here in my Cranberry Turkey Sandwich recipe. If you want to serve these at an event or pack in your lunch, prepare sandwich the night before, wrap tightly in plastic wrap, and refrigerate. 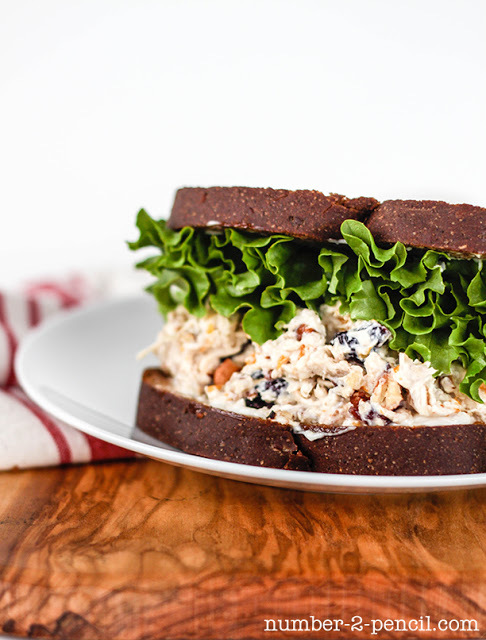 This chicken salad is even better the next day. Start by toasting whole pecans at 350 degrees for about 5 minutes. Measure 1/2 a cup and crush in small baggie with kitchen mallet or chop. Combine cooked chicken, mayo, crushed pecans, cranberries and mandarin oranges in a medium sized bowl. Use a fork to combine; oranges will naturally break up as the ingredients mix. Add salt and pepper to taste, more or less if chicken was seasoned during cooking. I have used all kinds of chicken for this recipe, including the canned chicken from Costco. I was reluctant to try it at first, but it was great quality and I couldn’t tell the difference. For the oranges, I use 1/2 of a mandarin orange snack cup and drain the juice. Start with 1/4 cup of mayo and add in a little more as needed. My amount usually varies depending on the type chicken I use. My absolute favorite!!! Could eat this every day! Oh, I would love to eat this for lunch! I definitely want this in my lunch box! It looks so creamy, with tons of yummy flavors and textures. Delish!